Kalamazoo, MI: On Thursday, May 31, 2018, at approximately 12:30 A.M, Kalamazoo Public Safety Officers were dispatched to the 500-block of W. Cedar St. in the City of Kalamazoo on a report of a female that had been stabbed. Officers quickly arrived and located a 34-year-old Kalamazoo resident with a non-life-threatening stab wound to her side. KDPS officers rendered first aid and the wounded female was transported to an area hospital to receive care. Officers learned that she and a known male subject had been in an argument that escalated to the point where she received one stab wound. A KDPS K-9 Team attempted to locate the known suspect in the area after he fled on foot, but was unsuccessful. Anyone who may have further information regarding this investigation is asked to call Kalamazoo Public Safety at 337-8994 or Silent Observer at 343-2100 or www.kalamazoosilentobserver.com. 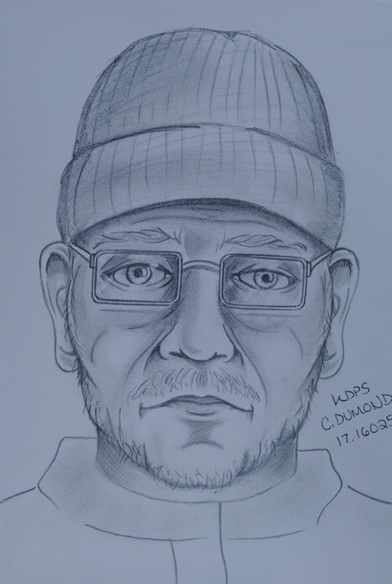 Kalamazoo, MI: On Friday October 13, 2017 at approximately 7:00 a.m. an unknown male assaulted a thirteen-year-old female walking on the sidewalk. The incident happened near the intersection of West Maple Street and West Crosstown Parkway. The male suspect reached out grabbing the victim as he rode a bicycle by her. The suspect continued riding the bicycle away from the scene southbound on West Crosstown Parkway. The victim was not injured during the incident. The suspect is described as a white male, approximately sixty-years-old with a white “Scruffy” beard. He was wearing a red jacket, faded blue jeans, gray stocking cap and black wire rimmed glasses.